Driving over the Afsluitdijk at night, this weekend, Jan van Roekel and I discussed a wine that we had recently tasted, the Labégorce-Zédé 2006. The name will disappear, Jan had read somewhere. It didn't surprise me, but I found the news a little bit sad. Since 2005 neighbouring Labégorce and Labégorce-Zédé were in the same hands again, after the split in 1795. Hubert Perrodo brought the two domains together by buying Labégorce-Zédé from Luc Thienpont, but shortly thereafter he died in a skiing accident (2006). 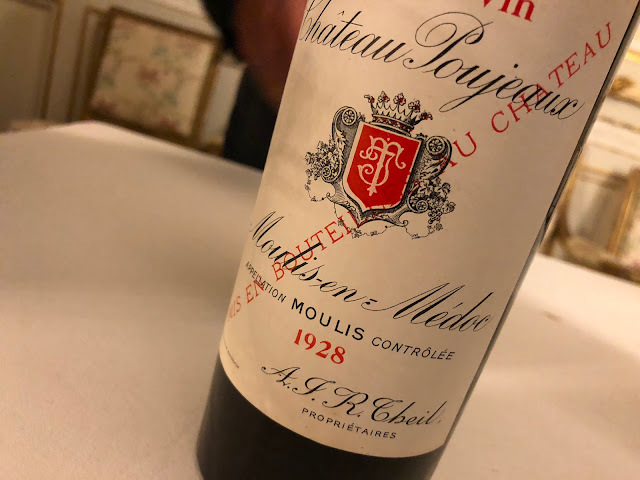 As Jane Anson now reports, his daugther Nathalie has taken over the property and will start carrying out 'the original plan' of uniting the two châteaux (see Decanter.com). Thus: it will be the estate's second wine that will keep the memory of Labégorce-Zédé alive. While Labégorce-Zédé was the better performing estate − thanks to Luc Thienpont, who sold it. Too bad for the beautiful name (and the beautiful label) but I'm afraid that with this development also the more classic and elegant approach of Labégorce-Zédé will be history. From my own limited experience: the 2005 has more 'energy' than the 2006. It is difficult to make a firm judgement as the vintage differs, but I would be inclined to say that there is a slight difference in style. The 2006 has a more modern appearance and seems a little bit more oaky. Well, this is walking on thin ice, I should taste the two wines side by side. But I wonder, from a 'branding' perspective: is it smart to abandon a famous name like Labégorce-Zédé? I wouldn't say it is.